On a boat, especially a cruising boat, space is a precious thing. 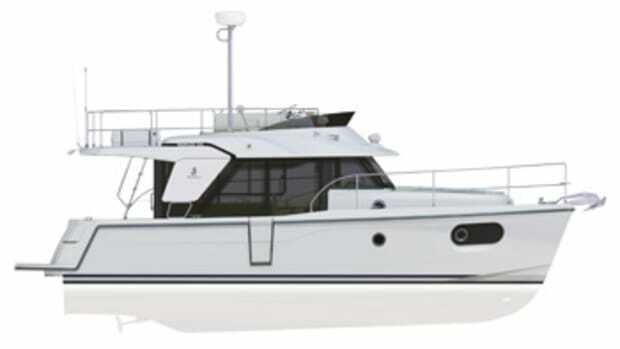 With that in mind Beneteau has introduced the Swift Trawler 44, successor to its Swift Trawler 42. 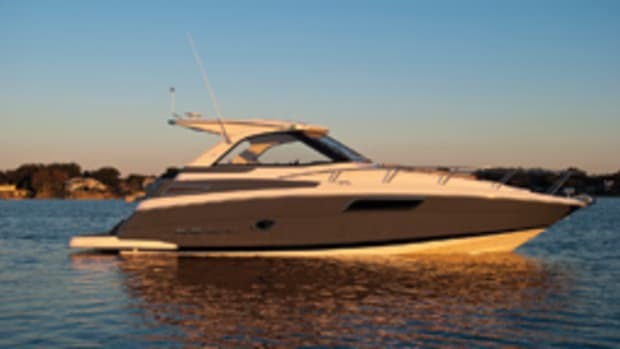 "We have kept the hull bottom and propulsion the same because it performs very well, but other than that it&apos;s a completely different boat," says Laurent Fabre, Beneteau Powerboat America sales and marketing manager. 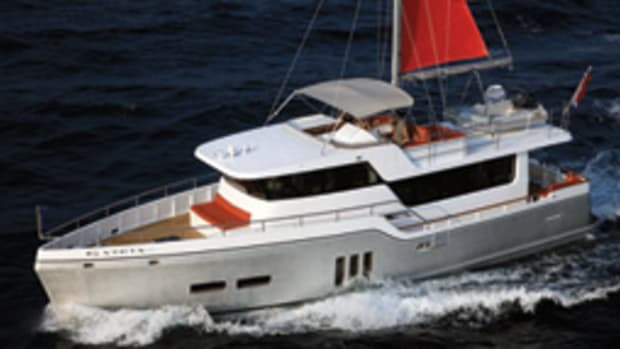 The 44 replaces the 42 in the builder&apos;s Swift Trawler fleet, which includes a 34-footer and a 52-footer. The 42 was introduced in 2003. The 44&apos;s asymmetrical deck is more than 16 inches wider than the 42. The wheelhouse area has been redesigned and is 3 feet longer - a change made possible by modifying the angle of the forward windows. The guest cabin, to port, now has a large double berth. The two head compartments to starboard are larger and updated to fit the cruising lifestyle, Fabre says. The saloon is convertible into a double cabin with a dividing curtain. The upgrades continue at the helm with a new surface finish that reduces windscreen reflections. The swim platform aft has been lengthened. 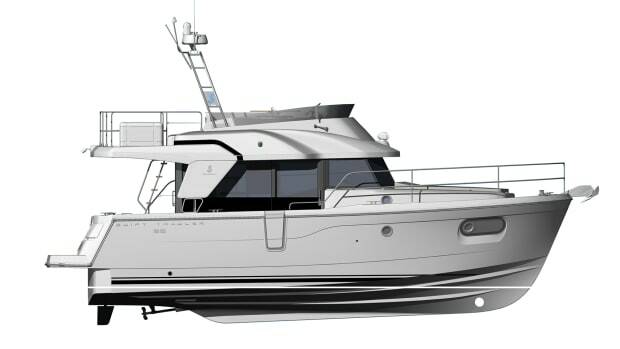 The flybridge deck, now 3 feet longer, can comfortably accommodate two pilot seats at the helm station and a large instrument panel. The loading mast-and-boom system includes an electric winch for hoisting the tender. 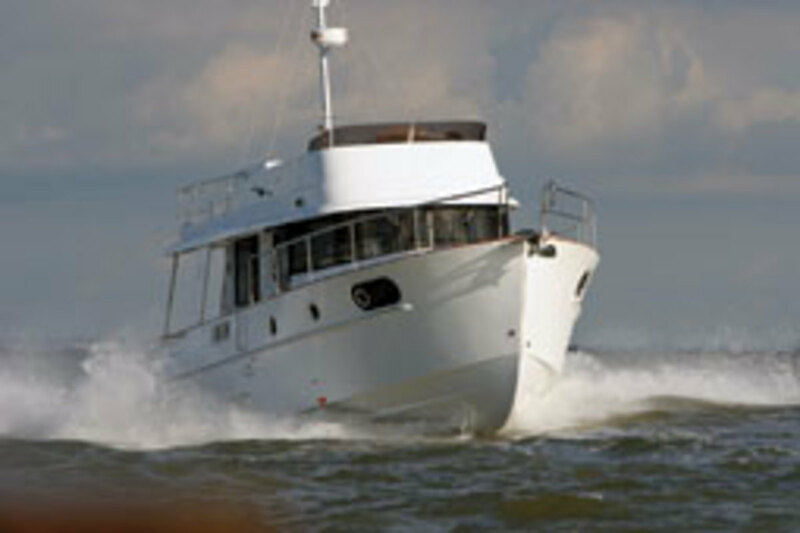 Twin 300-hp Volvo Penta D4 diesels push the Swift Trawler 44 to a top speed of 24 knots. 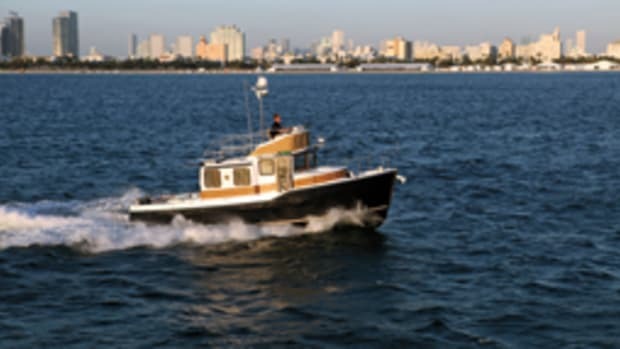 At a cruise of 18 knots, the boat gets 1.2 nautical miles per gallon. She has a range of nearly 300 nautical miles, based on 90 percent of her 396-gallon fuel capacity. It has a beam of 13 feet, 11 inches and draws 3 feet, 5 inches with a light load. Price: $436,000. 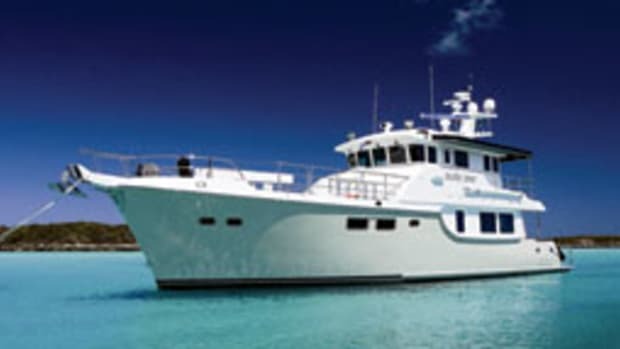 For a virtual tour of the Swift Trawler 44, go to www.youtube.com and search "Swift Trawler 44." 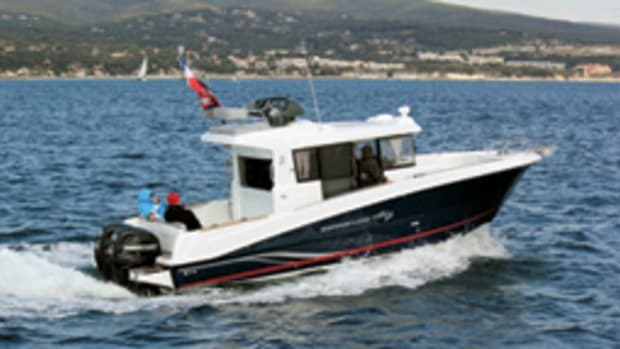 Click here to find more Beneteau boats.